So as some of you may have noticed, I get sidetracked. A LOT. I get caught up with work, and my family, and the kids, and other obligations, and then a little voice that says, "hey, you should go paint" basically gets told to shut up because I need more sleep. 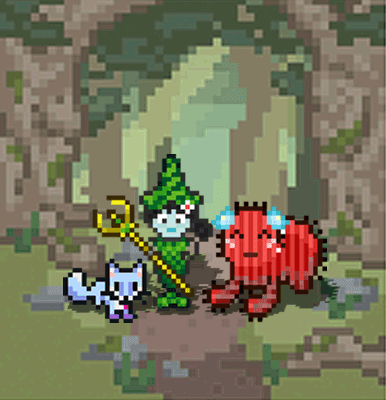 I began using a new program which I just love called HabitRPG.com. It helps reinforce good habits, and help you notice when you're slacking (or when you're engaging in bad habits). It's kind of like Chore Wars except that it's much more personal. And way cuter. I've always been a sucker for 8-bit goodness. Especially when it's color coded and easy enough that I can have my kids have their own accounts too. So what the heck does this have to do with painting? It's taken me two months,(!) but I've finally added "Studio Time" to my list of habits. And "Blog" as well. And added five entries on my to-do list that are all blog topics. Hopefully these habits will start to stick, because then will I not only actually be spending time on doing creative things for myself, I will be documenting and sharing them. I've been using this as well! It really has helped me keep focused and pay attention to how I'm spending my time and what I'm accomplishing. This way to the Ministry of Magic!